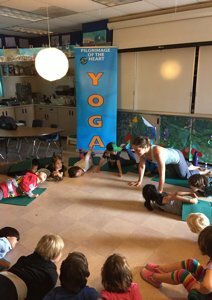 LET US BRING YOGA TO YOUR SCHOOL! Let us introduce your students to the amazing benefits of yoga. Our presentations of 30, 45 or 55 minutes are designed to fit your school’s schedule and will inspire your students to live a happier and healthier life! Teachers will receive a free DVD with 5, 10 and 15 minute “Let's do Yoga Together!” videos that can calm, refresh and refocus your students at any time during the school day. Yoga is safe and fun. It relaxes the body and focuses the mind. Yoga is non-competitive. It creates a peaceful cooperative atmosphere. Teachers and students enjoy doing yoga together. Yoga has many scientifically proven benefits. It is inexpensive and easy to do. Yoga is accessible to everyone. Your school gets our presentation, videos and helpful guidance for free! 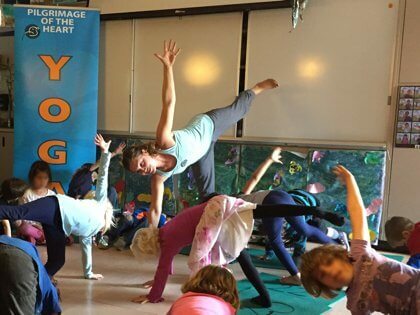 We bring an engaging and entertaining yoga class to your students. The students do the yoga poses with our instructor, sing songs and interact with the teacher. We leave your teachers with a DVD containing short yoga exercises that can be done in class. We are here to support and advise you on how to present yoga to your students throughout the year. Yoga is a safe, non-competitive activity that heightens self-awareness and our capacity for self-control. Yoga has been proven to relieve stress and thus enhance cognitive capacity. 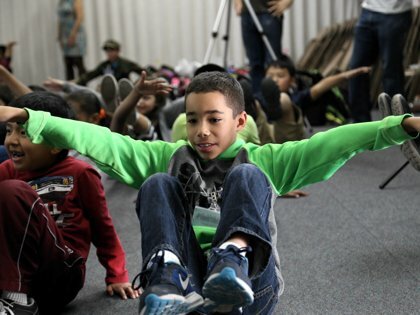 Yoga, done in concert with others, improves poise and assists in the building of social skills. 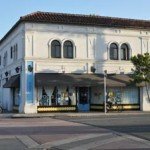 It creates a happy cooperative atmosphere. Yoga does not require expensive equipment and takes up very little space, it is a perfect school activity. Each student is able to do the exercises at their own pace and at their level of skill. Because there’s no peer pressure to perform to a certain standard, kids are under no stress and glad to participate. By placing attention upon their inner thoughts and feelings, in a calm and reflective manner, children learn to regulate themselves from within. They come to understand themselves more clearly and thus are able to relate to the external world with more poise and composure. Mindfulness practices have been shown to develop children's positive social skills such as empathy, compassion, patience and generosity. It can also improve children's self-control and boost their enthusiasm for learning. 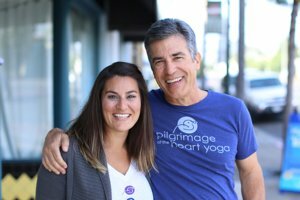 Pilgrimage of the Heart Yoga has two studios in San Diego and a long history of community involvement. In addition to our Yoga in Schools Program, we have Active Seniors outreach, a program to bring yoga to retirement communities. This year we are partnering with the United Nations Association of San Diego to present a free half-day program in Balboa Park for The International Day of Yoga. We also sponsor a visit from The Peace Run, an international relay run for peace, as they pass through San Diego and visit some of our schools. Pilgrimage of the Heart believes in San Diego and in community. 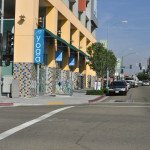 We endeavor to bring the physical, mental and emotional benefits of yoga to young people and our community at large. Please feel free to download any of these materials to use with your students and/or staff. To download a video, click on the title which takes you to Vimeo, then click on the download button a little below the video.